Design Advice Request to discuss a Type III Design Review for a proposed new 12-story residential development with 93 affordable dwelling units. The ground floor will include 18 parking spaces. Early Assistance appt to discuss the proposed mixed use bldg; 2-4 stories, with ground floor retail or office uses. Modernization of existing Grant Highschool, entire facility. Partial demo, full remodel. Interior demolition and structural upgrade, no exterior or site work improvements included – structural upgrade/ seismic strengthening to ASCE 41-13 in preparation for future change of occupancy. No occupancy during construction. The Design Commission approved the Jefferson 14 Apartments and the Tess O’Brien Apartments. The Commission offered Design Advice on the PSU School of Business Administration and Front 17. 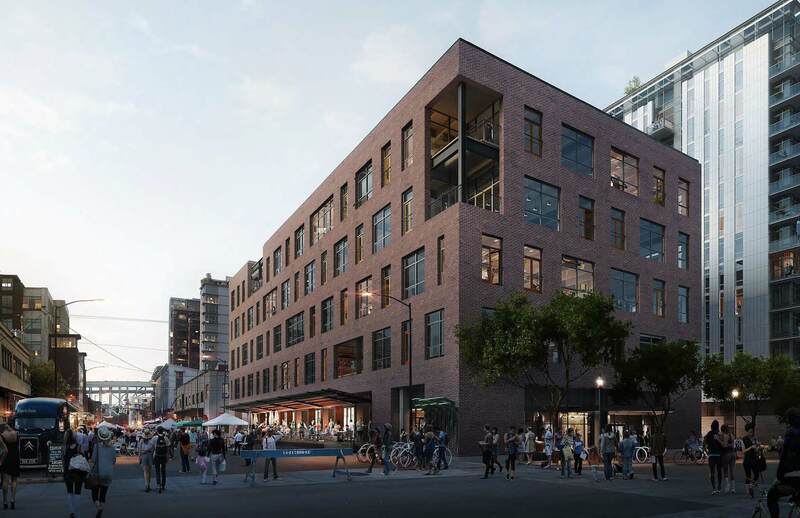 At the Oregonian, Elliott Njus wrote about the micro apartments proposed at 6012 SE Yamhill St.
Portland Monthly’s Karen Brooks wrote about Pine Street Market, the new food hall planned for SW 2nd and Pine. Brian Libby of Portland Architecture published an interview with John Schleuning of SRG Partnership. 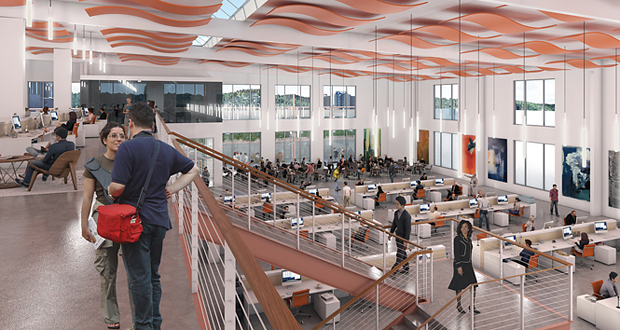 SERA Architects plan to open to an office in Silicon Valley. SERA project that have been featured on Next Portland include Worldmark by Wyndham, 12th & Clay, AC by Marriott and the renovation/expansion of the Whidden & Lewis building. The Portland Chronicle wrote about a community meeting for a proposed building by UDG at 1916 SE 50th. The Oregonian reported that the Regal 8 movie theater at the Lloyd Center will close at the end of the month, and be replaced with a creative office development. This project is part of a $50 million redevelopment of the 1960’s mall, which includes a new entry and storefronts along NE Multnomah. The Portland Chronicle published photos of a house at 3423 SE Hawthorne Blvd which is set to be replaced by a 4-story apartment building. Block 136, the Tess O’Brien Apartments and the Lloyd Center Remodel were due before the Design Commission on Thursday. In a 4-1 decision, the City Council voted to reject the proposal to demolish a building at 1727 NW Hoyt. In ‘Stark Changes‘ and ‘A New Old Town II‘ Places over Time wrote about the St Francis Park Apartments and Block 8L respectively. The Portland Mercury reported that Revolution Hall, the music venue inside the newly renovated Washington High School, has announced its first shows. Portland Architecture wrote about the design forum for the James Beard Public Market, in which the team from Snøhetta met with various groups, including University of Oregon students. The Oregonian reported that Multnomah County voted to choose “an L-shaped lot at the west end of the Hawthorne Bridge” as its preferred site for a new courthouse. The Portland Chronicle published photos of the demolition of a 1947 warehouse located at 1916 SE 50th. 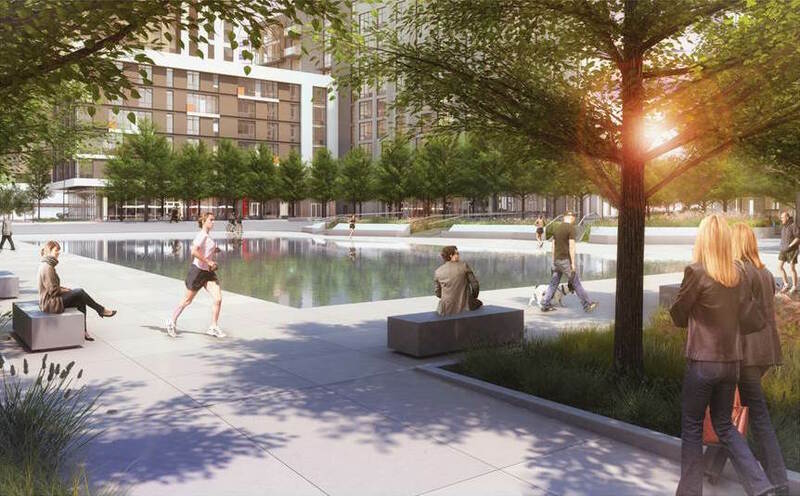 Though no construction permits have been filed yet, the blog speculates that it will become multifamily housing, given that the property is owned by Urban Development Group.